Thousands of people from around the world shared photos remembering the Holocaust in Facebook campaign ahead of International Holocaust Remembrance Day on January 27. The “We Remember” campaign, organized by the World Jewish Congress, has reached 100 million people across the globe, with more than 200,000 participants. 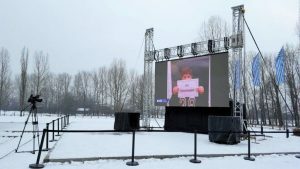 As part of the project, people of all faiths and nationalities have shared images of themselves holding up the words “We Remember.” Starting Tuesday, in partnership with the Auschwitz Museum, thousands of these images were projected on a screen on the grounds of Birkenau, next to Crematorium II. The screening will continue until Thursday and is also being streamed via social media. Participants included President Reuven Rivlin and Prime Minister Benjamin Netanyahu, as well as Defense Minister Avigdor Liberman, and political party leaders Yair Lapid and Isaac Herzog. In the rest of the world, the project drew contributions from US politicians Sen. Chuck Schumer, and Congressmen Eliot Engel and Jerrold Nadler; a wide range of European MPs and officials such as Austrian Foreign Minister Sebastian Kurz, German Justice Minister Heiko Maas, Belgian Interior Minister Jan Jambon, and Belgian Foreign Minister Didier Reynders. Israeli actresses Moran Atias and Odelya Halevy and Jewish public figures such as Dr. Ruth Westheimer and Bernard Henri-Levy also joined the drive. Singer said that this project showed a new way of commemorating the Holocaust. “This project has taught us that history can be taught in a new way, and shown is the power of social media. 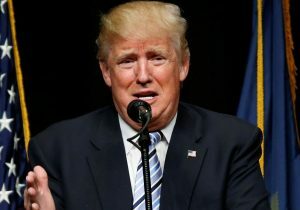 We have learned that it is indeed possible to bring people of all ages and from all over the world together remember the past using a shared language,” he said. ROME (JTA) – A road race passing sites of Holocaust and Jewish remembrance in Rome will highlight events in Italy marking International Holocaust Memorial Day. The “Run for Mem” — short for Run for Remembrance: Looking Ahead — is scheduled for Jan. 22, five days before the observance of International Holocaust Memorial Day marking the anniversary of the 1945 liberation of Auschwitz. In some countries, including Italy, events take place in the days or even weeks surrounding the Jan. 27 date. Sponsored by Italy’s main Jewish organizations, The Run for Mem will start and end in Rome’s historic Jewish ghetto, in a square now named for the deportation of Roman Jews to Auschwitz on Oct. 16, 1943. Billed as Europe’s first sport race past sites meant “to commemorate the Shoah and determine future direction,” the event has two routes – 10 kilometers for athletes, 3.5K for the general public. Both take participants past sites related to the Holocaust. Participants will be encouraged to stop, read commemorative plaques and light candles. They will also meet with Shaul Ladany, an Israeli Holocaust survivor and champion race walker who survived the attack on Israeli athletes at the Munich Olympics in 1972. Organized by the umbrella Union of Italian Jewish Communities, or UCEI, under the auspices of the government and in collaboration with the Rome Marathon and the Maccabi Italia Association, the event is supported by or partnered with more than two dozen other Jewish, civic, governmental and sports bodies and will be featured on national television. “Sport as a means of coming together is a way to affirm life and dialogue,” UCEI President Noemi Di Segni told a news conference Monday. Other initiatives around the country to mark Holocaust Memorial Day include exhibitions, cultural and educational events, and commemorative ceremonies. The city hall in Bialystok, Poland has refused to honor a UNESCO-sponsored “Zamenhof Year” in 2017 commemorating Ludwik Zamenhof, its native son who invented the international language, officials said Friday. Zamenhof, a Jewish physician, was born in the northeastern city in 1859 and died in Warsaw in 1917. 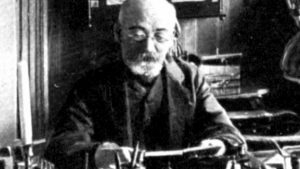 He invented Esperanto as a universal communication tool in 1885. Councillors for the conservative ruling Law and Justice party (PiS) voted against the Zamenhof Year commemorating the 100th anniversary of his death, Przemyslaw Wierzbowski, head of the Bialystok Esperanto society, told AFP. Wierzbowski said the councilors — who narrowly rejected the project by 12 votes against 11 — saw Esperanto as a dead language that has no value for mankind. In fact, Esperanto became an unprecedented international success and linguists say up to a million people still use it. But he added he had voted against because the city had already decided to celebrate next year’s 150th anniversary of the birth of Josef Pilsudski, the father of Poland’s independence. He said the decision was also due to a local political conflict between PiS and city president Tadeusz Truskolaski, who “is looking to use Zamenhof for political goals” and take control of the Zamenhof Center, an autonomous institution. “It’s a bad and sad decision,” said Wierzbowski. Zbigniew Nikiforowicz from the opposition liberal Civic Platform told AFP the decision was due to “an unfavorable stance inside PiS towards anything that is not ethnically Polish”. 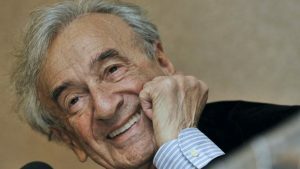 WASHINGTON — The US House of Representatives on Monday unanimously approved a resolution honoring the life and work of Elie Wiesel, the Holocaust survivor and prolific writer who died July 2 in New York at the age of 87. Three members of the US Holocaust Memorial Council — Representatives Steve Israel, Patrick Meehan and Ted Deutch — introduced the resolution. Last month, a Jewish organization in the former Soviet Union inaugurated an exhibition in Moscow on Wiesel’s life. Titled “Elie Wiesel, from Sighet to Moscow via France and Israel,” the show was opened by Limmud FSU, which organizes Jewish learning conferences in over a dozen countries with large populations of Russian-speaking Jews. Prominent figures from Russian Jewry, including the country’s two chief rabbis, Berel Lazar and Avraham Shayevich, attended the opening at the Israeli Cultural Center. The display features dozens of photos from important stations in the life of Wiesel. 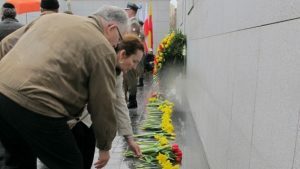 WARSAW, Poland — Some 700 people marched through the streets of Warsaw to commemorate those who worked in the Warsaw Ghetto as doctors, nurses and other medical personnel, helping those in need and, when necessary, helping them die. The march began on Friday at the monument at the Umschlagplatz. Participants were welcomed by the director of the Jewish Historical Institute, Pawel Spiewak; vice ambassador of Israel, Ruth Cohen-Dar; and Marian Turski, vice president of the Association of the Jewish Historical Institute. “We are gathered here to remember the names of our sisters and brothers who were killed in the largest genocide of contemporary humanity. We are here to remember each one of them,” said Ruth Cohen-Dar. At the hospital building, participants hung on its fence ribbons with the names of victims of the liquidation of the ghetto. Piotr Glowacki read excerpts from the testimonies of ghetto nurses and doctors. He was accompanied by Olgierd Dokalski. Bersohn and Bauman Children’s Hospital was founded in 1878 and operated until 1942. Janusz Korczak, who ran an orphanage in the Warsaw Ghetto for Jewish children during World War II and died with them, was a pediatrician there before World War I. During the war, the hospital was located in the ghetto. Doctors tried to help the children, although they had limited options. Some of the doctors could not come to terms with the fact that their patients would be murdered in Treblinka. Children were given morphine to die in their beds and avoid transport to death camps. (JTA) – A memorial in Mississippi to child victims of the Holocaust is getting a $25,000 boost from a Southern hospital network. The planned memorial in Hernando, a city in northern Mississippi located about 30 miles south of Memphis, Tenn., will hold 1.5 million pennies donated by local schools and businesses to commemorate the approximately 1.5 million Jewish children murdered by the Nazis. The $25,000 gift to the Unknown Child Holocaust Remembrance Penny Project is from Baptist Memorial Health Care, The Associated Press reported. The project’s anticipated cost is about $2 million. Thornton said the project has yet to obtain the land on which to build the memorial. Students at Horn Lake Middle School came up with the idea for the memorial and raised the 1.5 million pennies in the 2009-10 school year while studying the Holocaust. NEW YORK (JTA) — Sol Lapidus earned the Order of Lenin, the Soviet Union’s highest medal, for his role as a partisan fighter in the Belarussian forest during World War II. 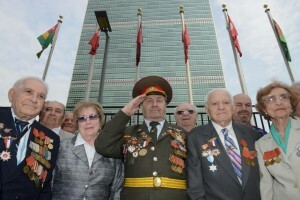 Lapidus proudly wore the bronze-and-red medal pinned to his suit jacket on Wednesday at the United Nations, where he joined approximately 150 mostly white-haired Jewish Red Army veterans, their lapels festooned with similar decorations. Inspired by Russia’s Victory Day, which marks the anniversary of Germany’s official surrender on May 9, 1945, the new holiday will be marked on the 26th of Iyar, the Hebrew date on which the surrender took place. For years, Victory Day has been celebrated not just in Russia but in countries with major Russian emigre populations, including Israel. Rescue Day grew out of an international coalition of Russian Jewish groups, including the American Forum of Russian-Speaking Jews and the STMEGI Foundation, whose activists approached Jewish leaders around the world to call for a global Jewish recognition of the liberation. The activists won the support of Keren Hayesod-United Israel Appeal, the World Zionist Organization, the Israeli government, Israel’s Chief Rabbinate and chief rabbis from Europe.